Jul10 by John M. Buol Jr. The public has sung loud and long. The M9 must go! 9x19mm is a poor pistol cartridge! Our Soldiers and Marines are being hampered by an inferior handgun and cartridge. As is typical of arguments posted online by random, anonymous people, the truth is deeper than they realize. Interestingly, none of the geniuses commenting on this (all self-described handgun masters, of course) seemed to notice the poorly-posed poser modeling the vile M9 is “shooting” with the safety/decocker on, using a questionable grip/hold, and apparently has no use for sights as the rear sight is missing. Perhaps he was trained by a point shooting advocate, I don’t know. Here’s the real problem. Most Marines, Solider, police, and gun owners tend to be novice marksmen, especially with handguns. Very few people have trained to shoot a handgun well enough to offer a competent opinion on the matter. Let’s look at some ranges. As you can see, there is no real trend in hits and the entire barn door (full sized silhouette) has shots sprayed all over it. And these are the shots that actually hit, all of them receiving full value. 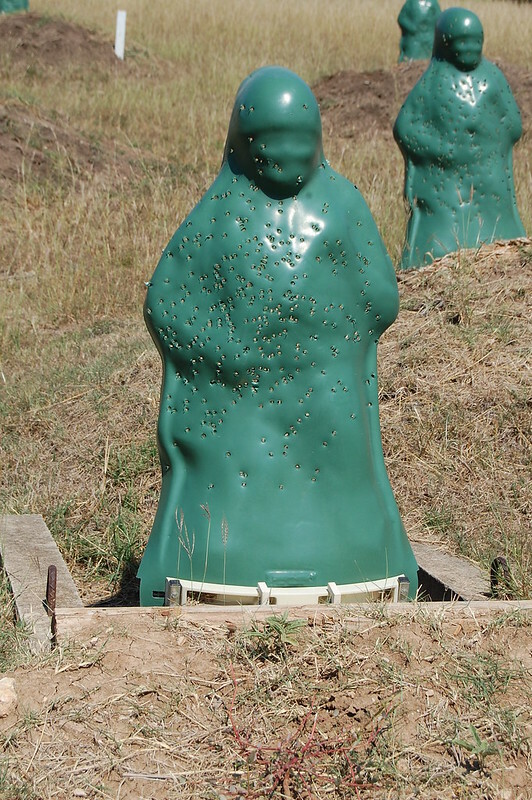 On this particular Army course, shooters are given 40 rounds to engage 30 targets and are considered qualified if 16 of the 30 targets are hit, somewhere. Soldiers can miss nearly half the time, even with ten extra rounds, and still pass. The “fast” stages of the course allow two seconds per shot and the bulk of the course is slower. Note the base of the target is blocked by the mound protecting the target lifter and that mound is a beaten zone of many very low, errant shots. The Marines in the peanut gallery are likely chuckling, so let’s look at an example of of their ranges. 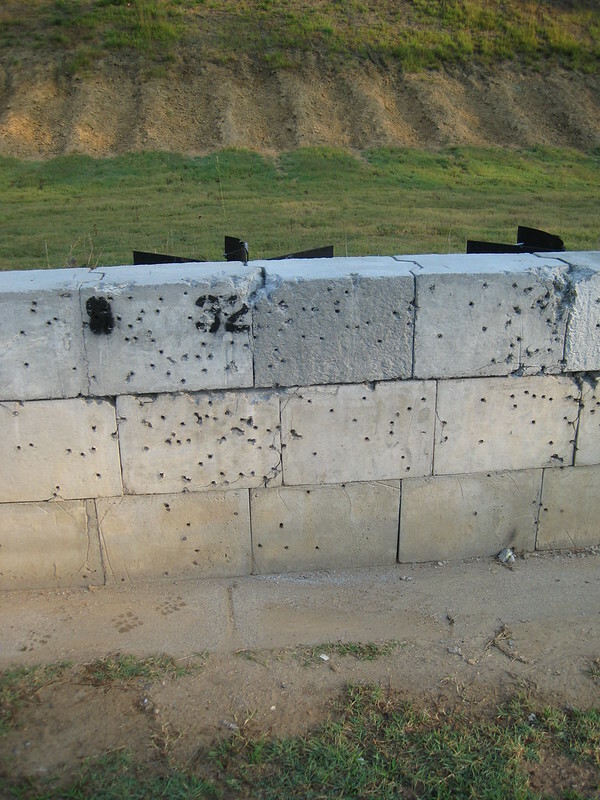 The metal carrier behind the block wall holds a silhouette the same size as the Army target and that waist-high wall has taken a healthy beating from bad shots jerked and flinched several feet off target. Of course, the wall only shows shots pulled off target that went low. The rest ended up in the berm somewhere else. 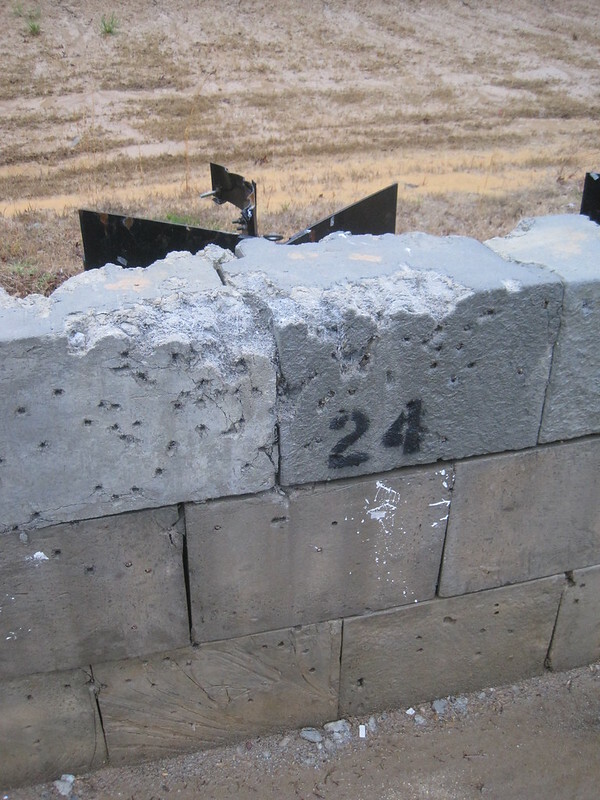 As seen closer up (Marine pistol mess 2) the chewed up top line of blocks is not made of concrete, purposely used to avoid splatter towards the shooters from the excessive number of low shots. These are the results on qualification ranges with large targets, generous time limits, fixed courses of fire, and no real pressure. Imagine how much worse the shooting is when the stress and variables of combat are thrown in. Given the users wielding it, is the M9 truly ineffective? Even if it is, are shooters like this capable of a valid opinion on the matter? Most Marines, Soldiers, police, CCW, and gun owners won’t invest the effort needed to train to a high level of skill and very few public sector organizations will expend the resources needed to make them do so. I’m not casting aspersions, just trying to address reality. If the DoD decides on a new pistol, or any other weapon, the results will be similar because the end user isn’t magically more skillful with a shiny new issue item.